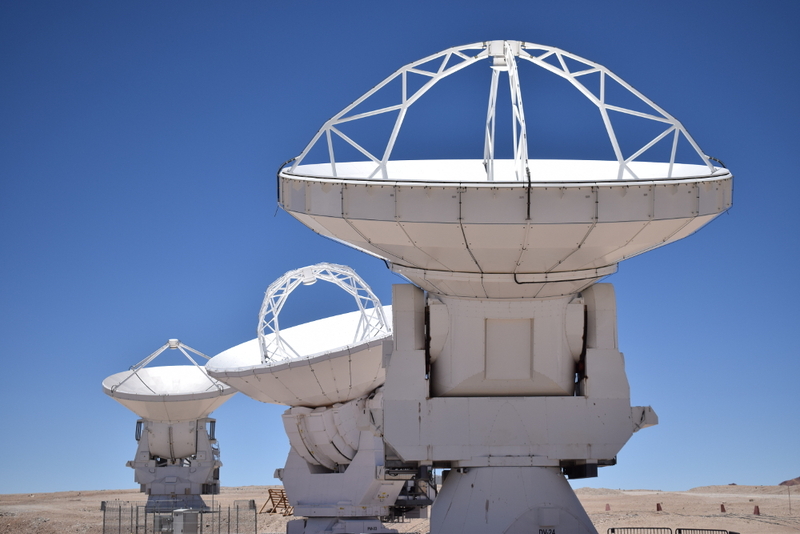 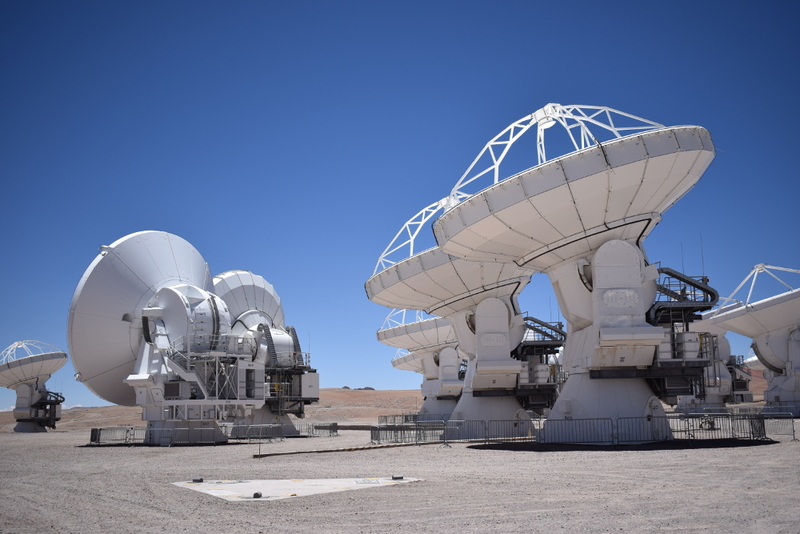 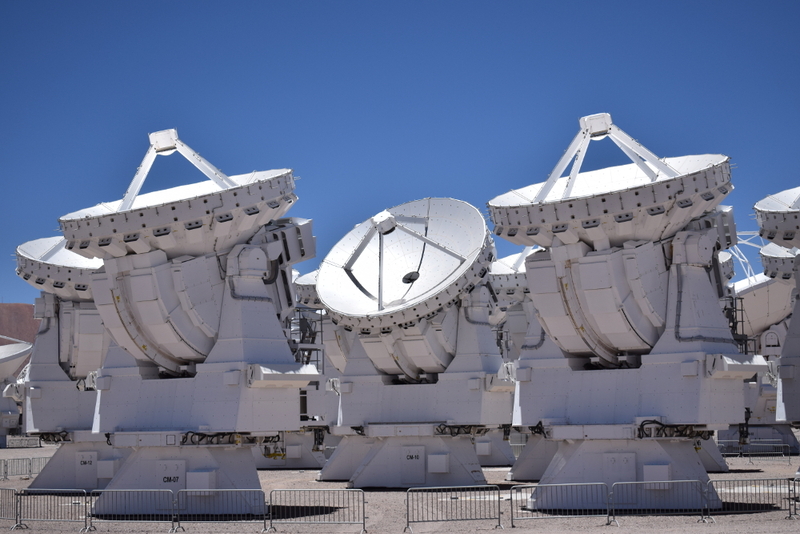 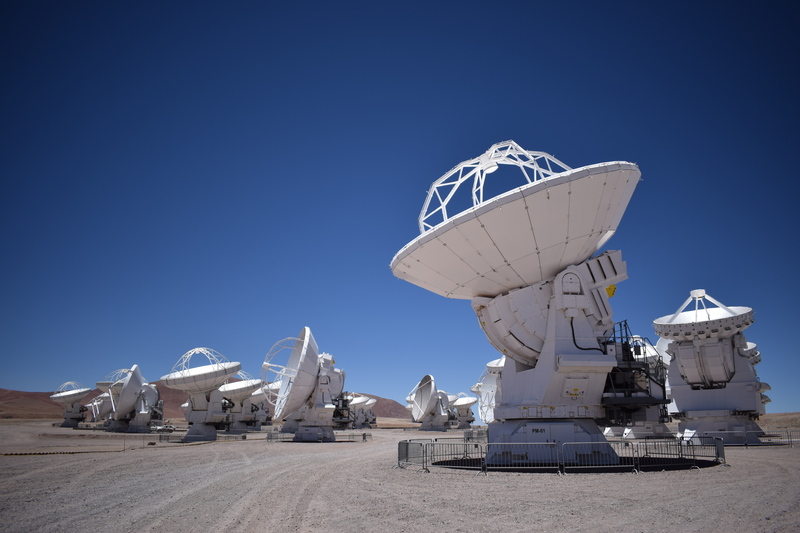 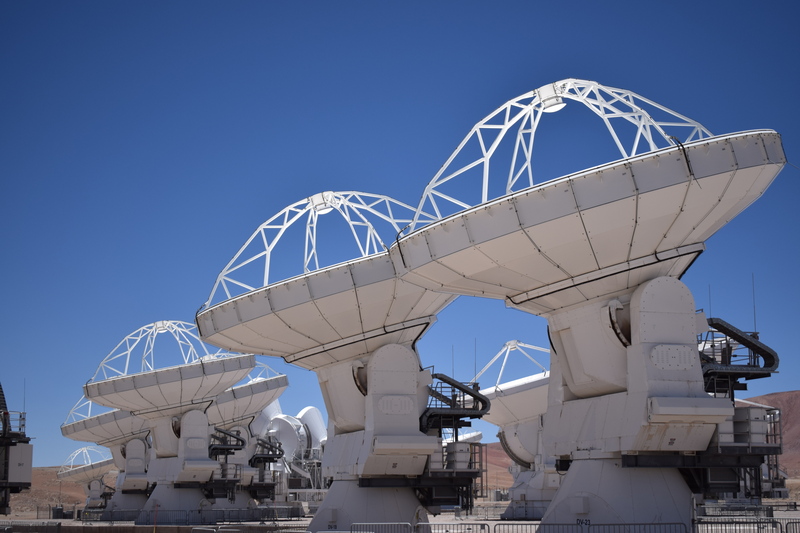 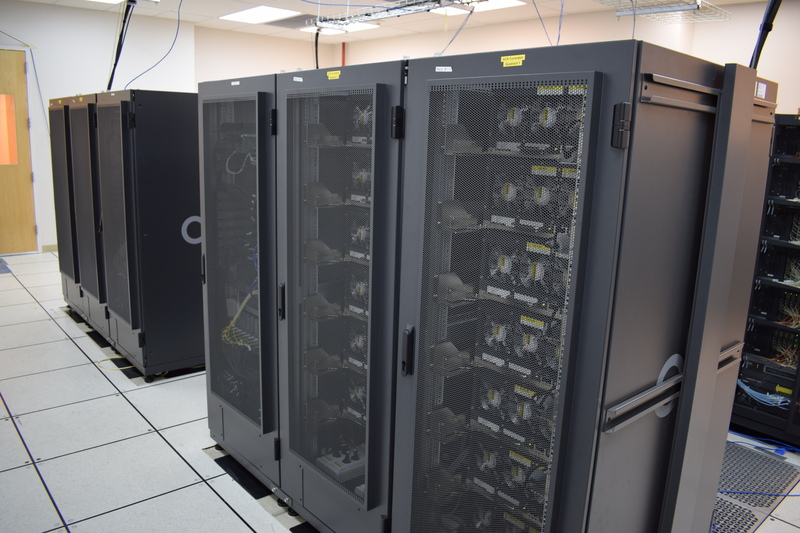 I was thrilled to finally explore the ALMA Array Operations Site! 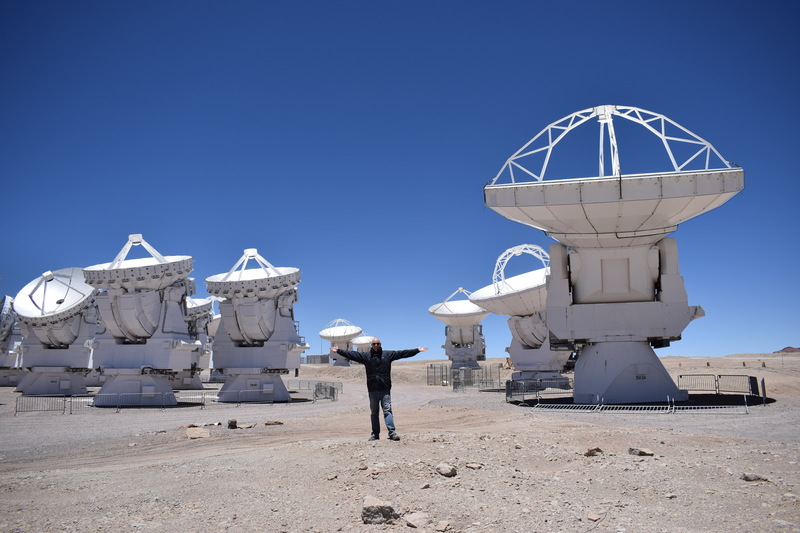 The high site was high on my bucket list for Chile. 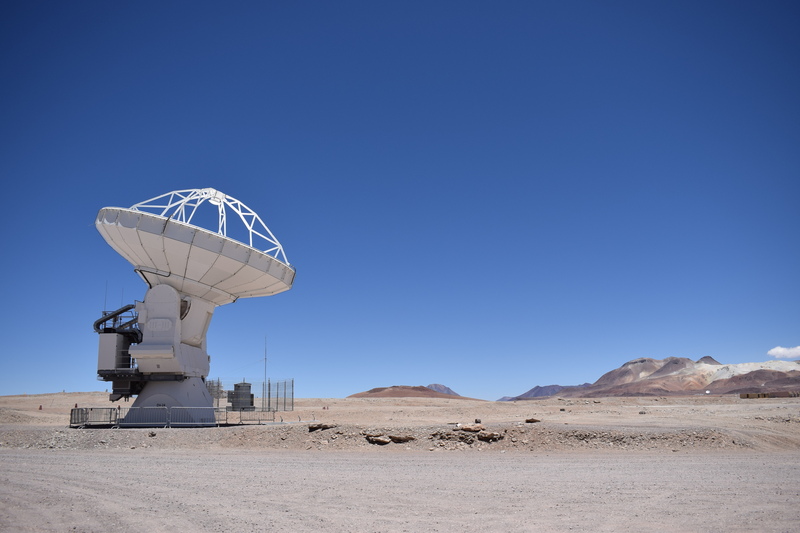 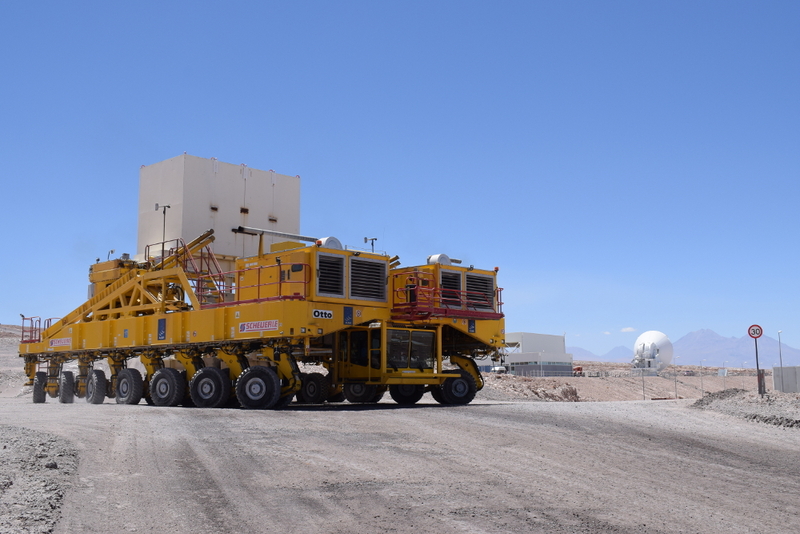 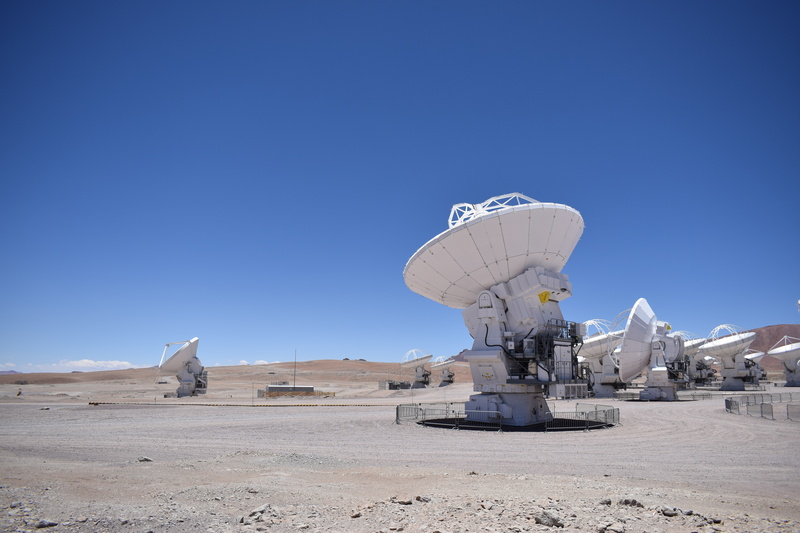 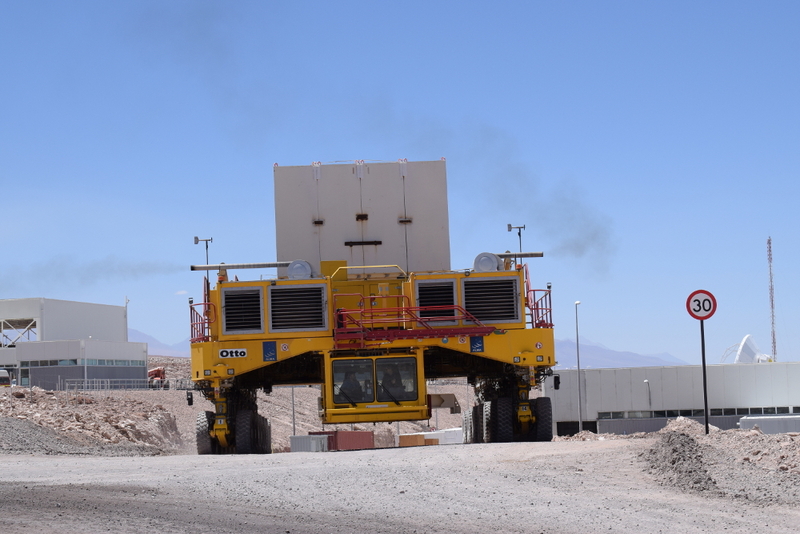 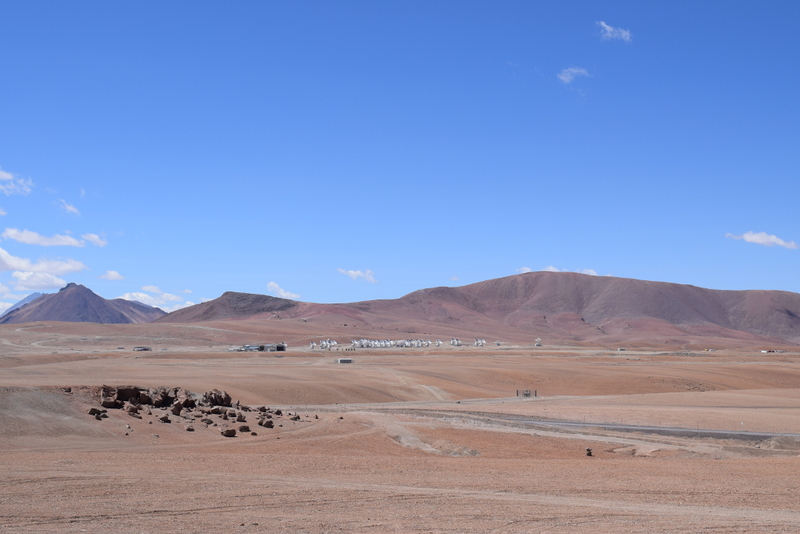 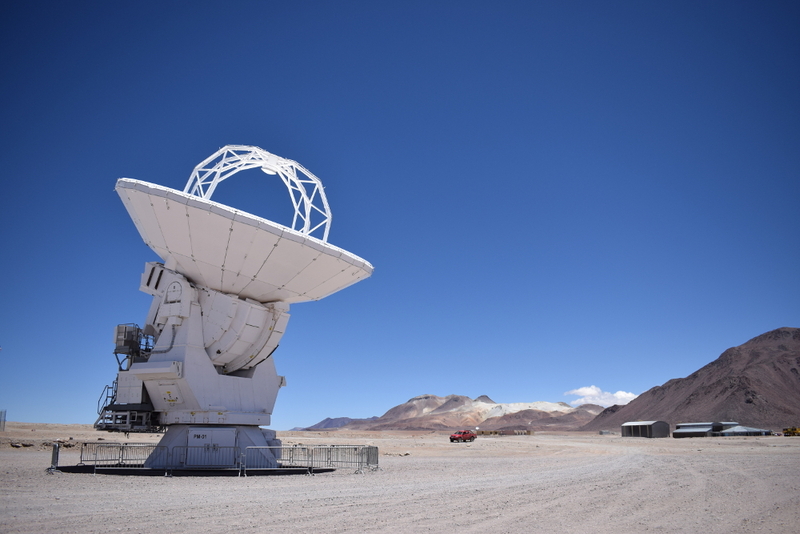 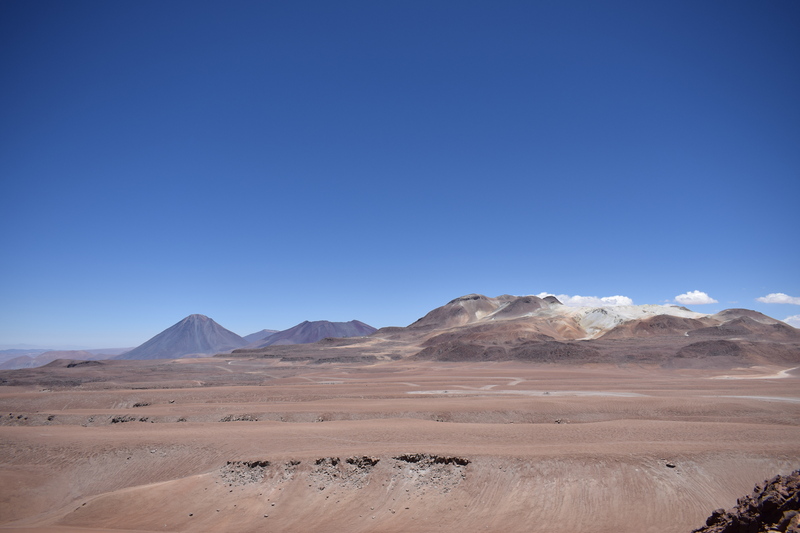 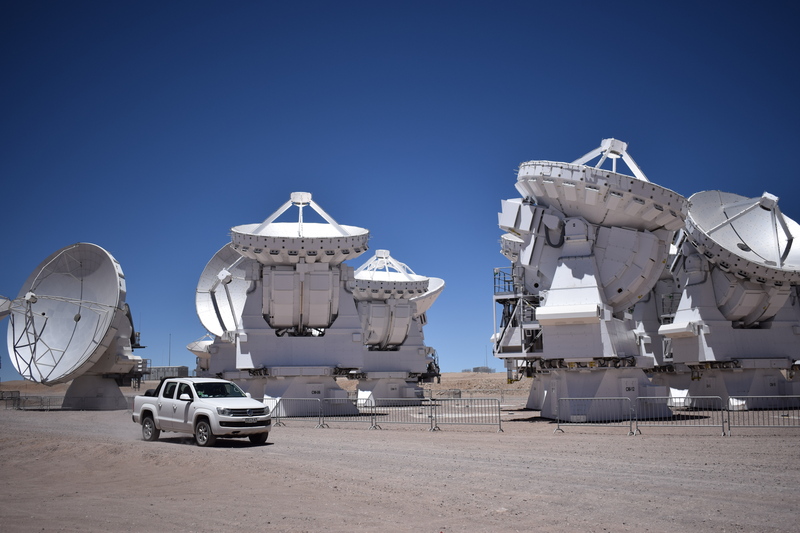 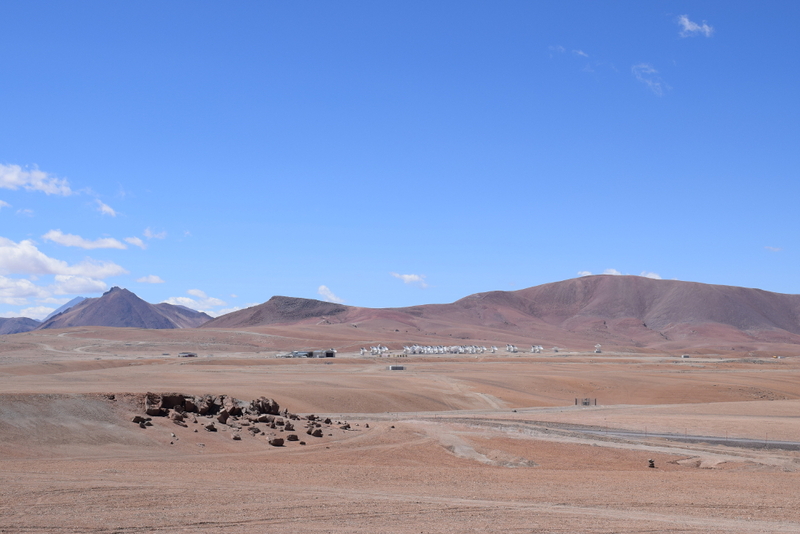 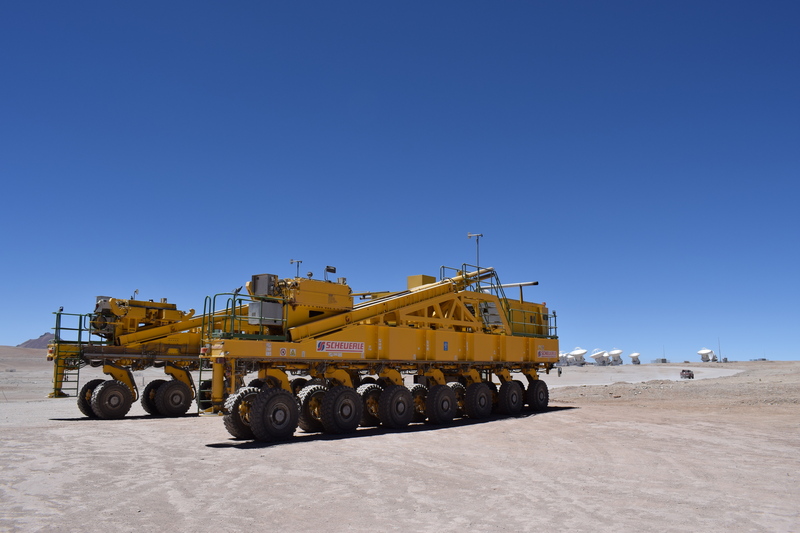 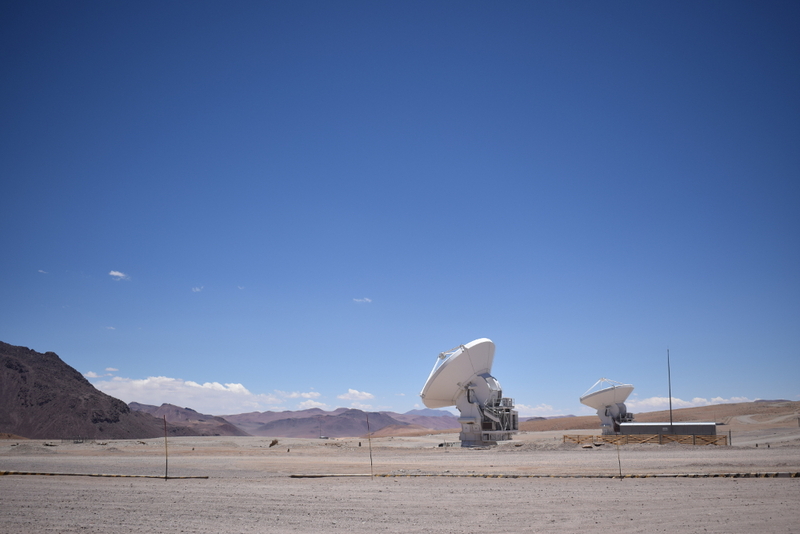 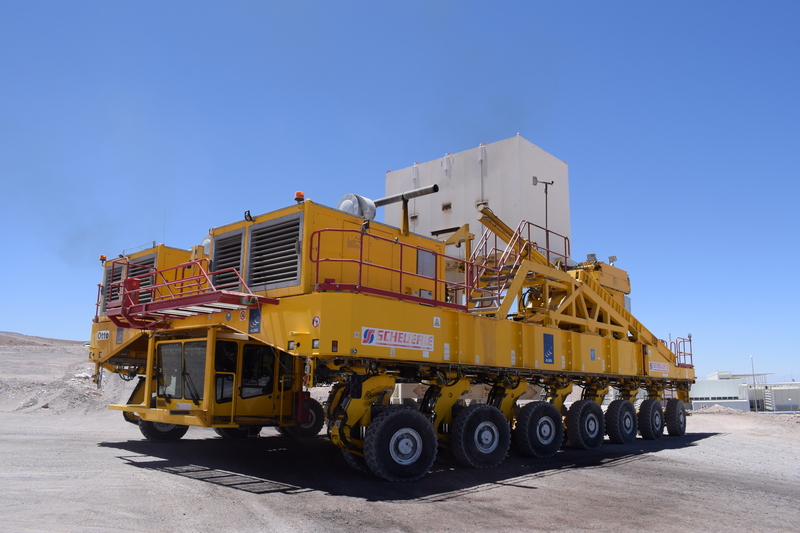 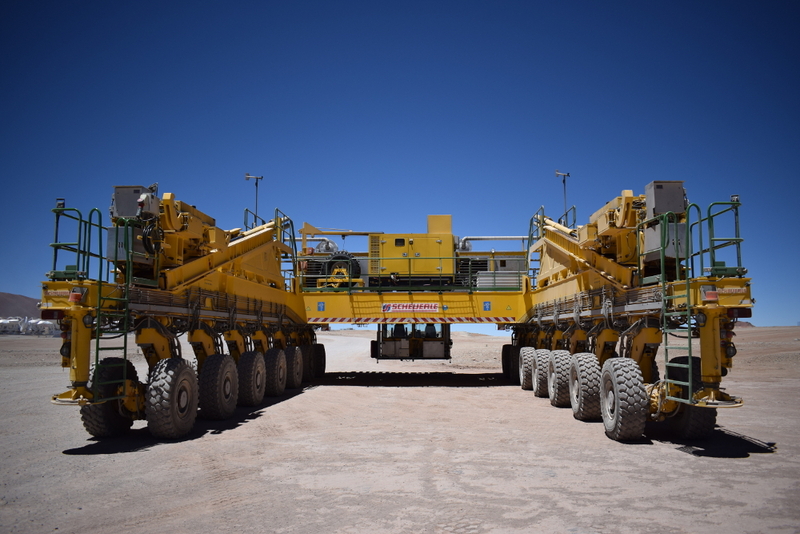 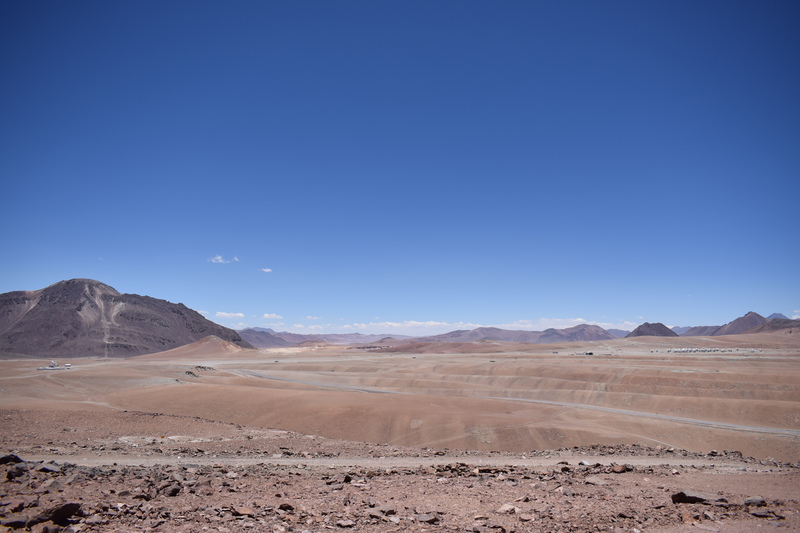 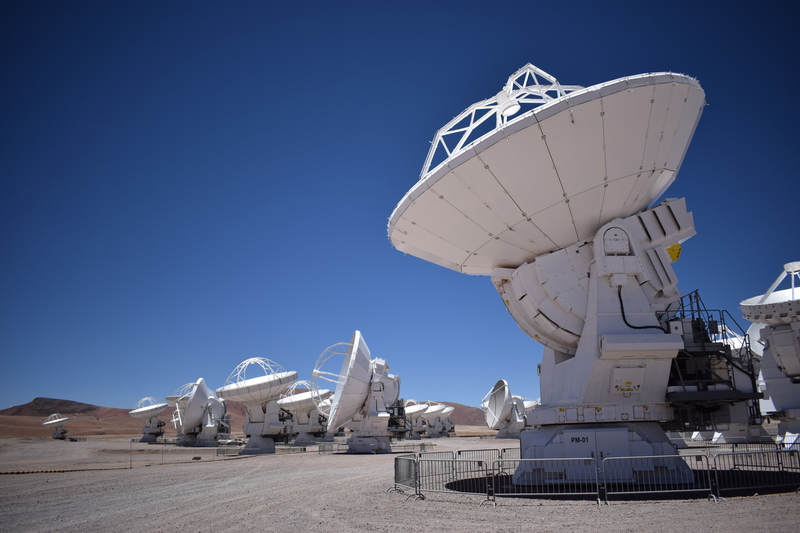 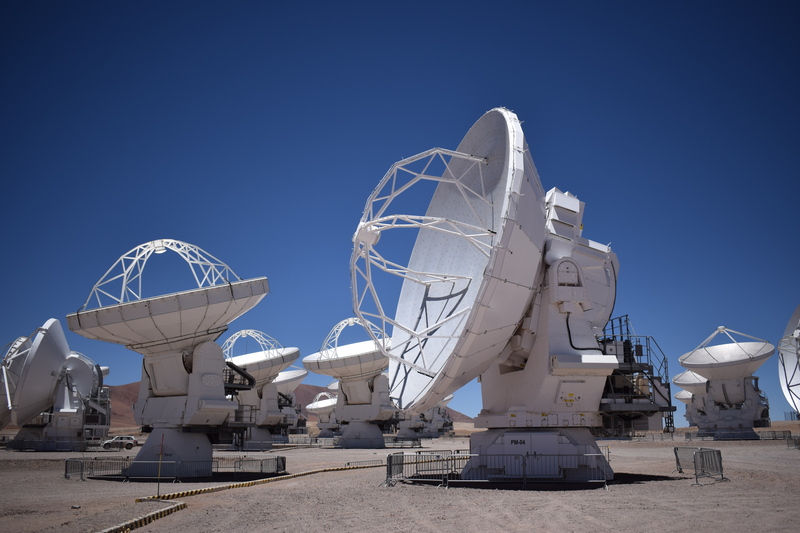 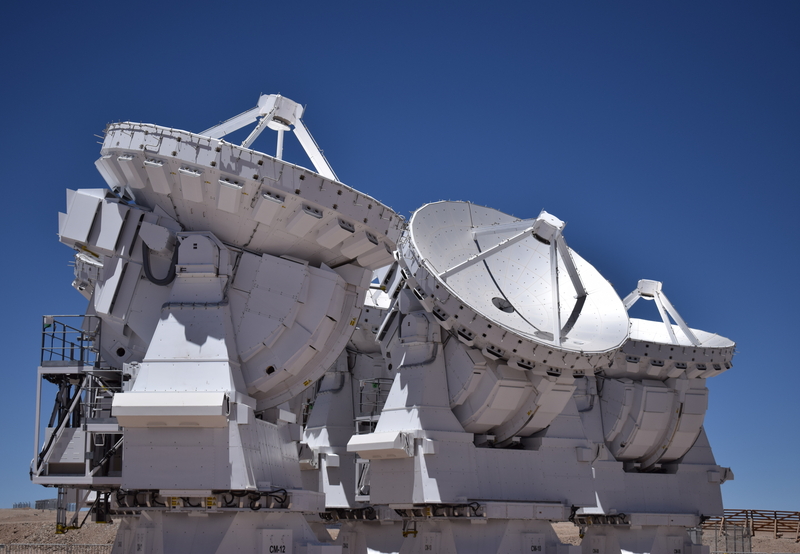 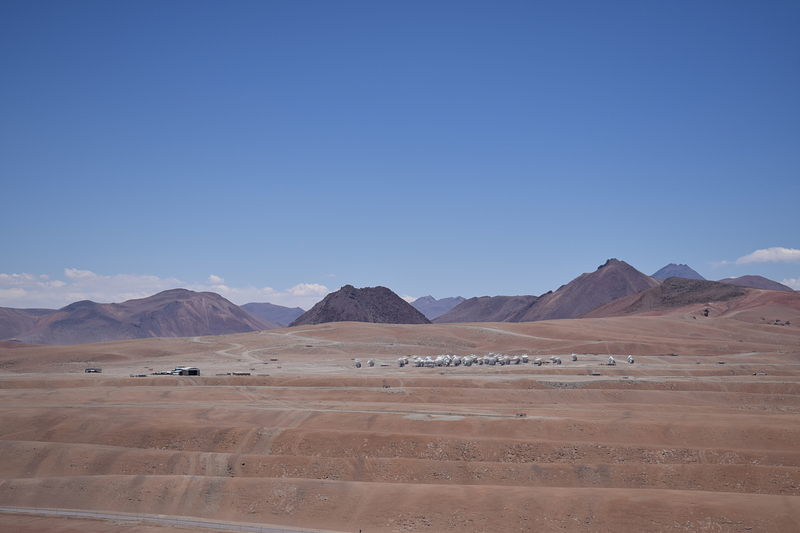 Although I had already seen the ALMA Operations Support Facility, the base camp at 2900 m, a number of times as either a professional visitor or a tourist (I highly recommend their free public tours if you ever find yourself in San Pedro de Atacama on a weekend – book early! ), it wasn’t enough to satisfy my curiosity. 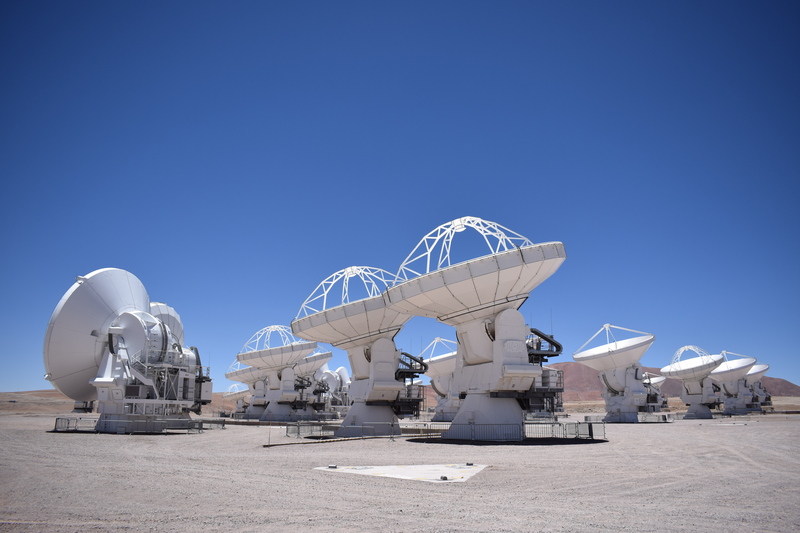 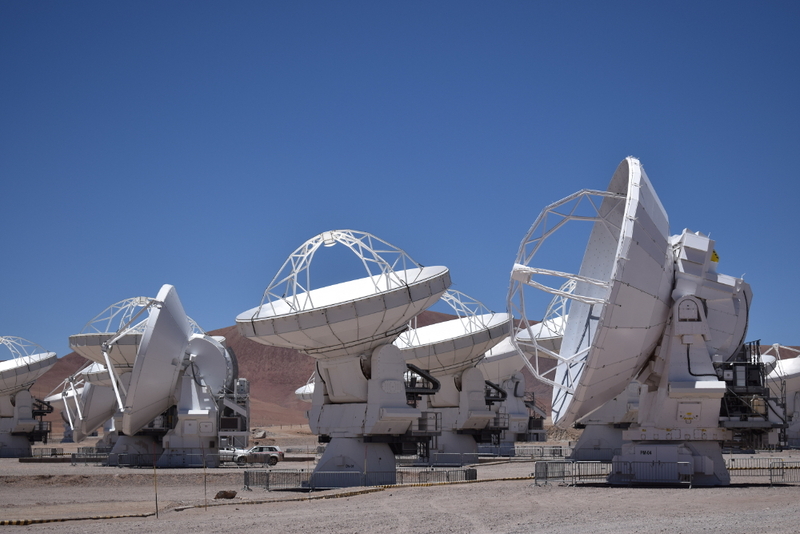 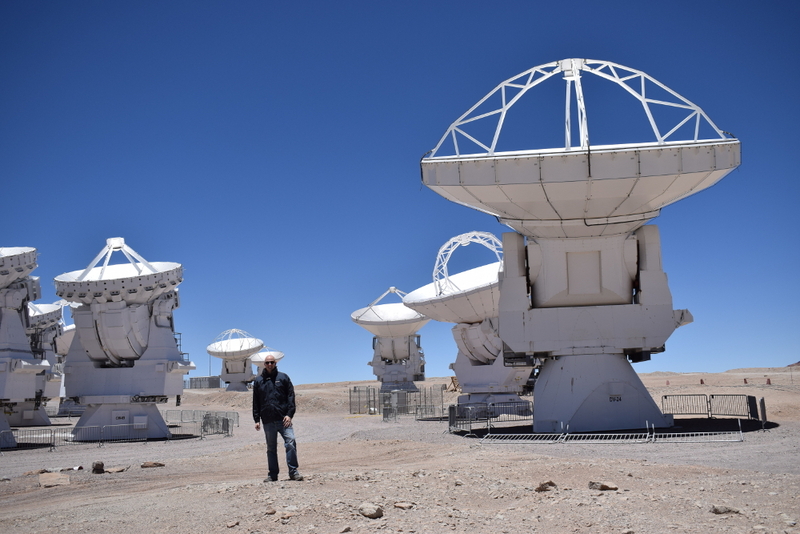 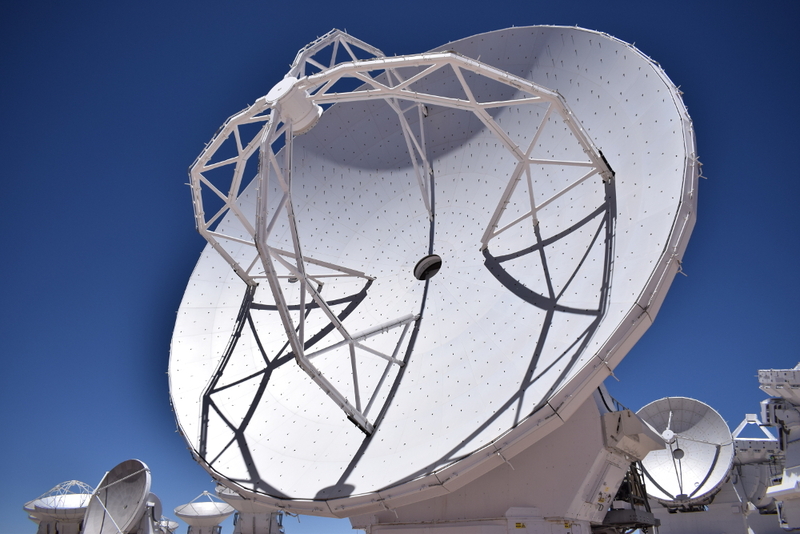 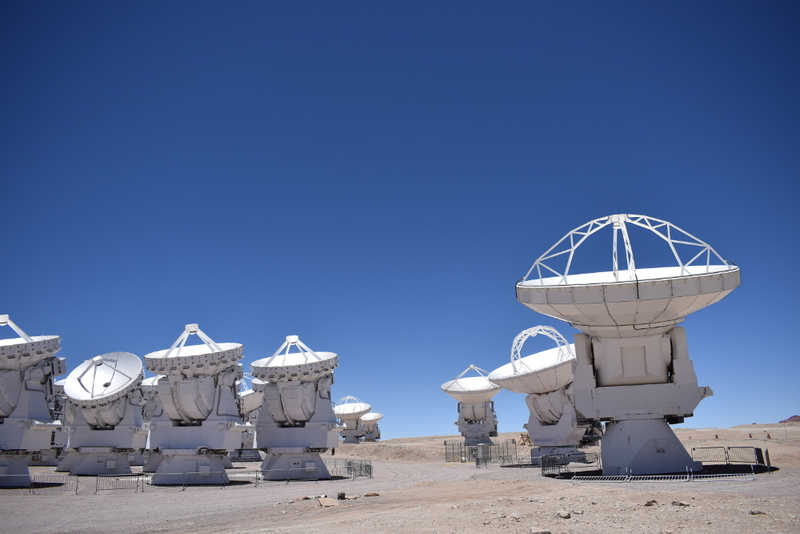 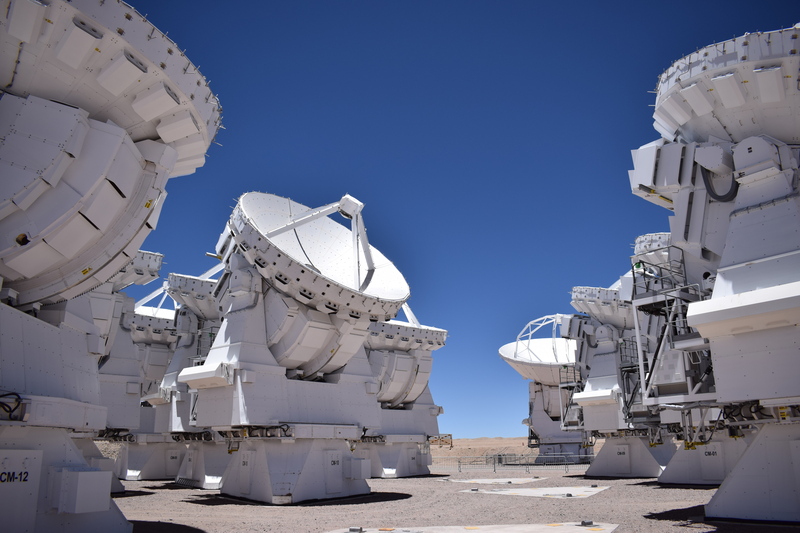 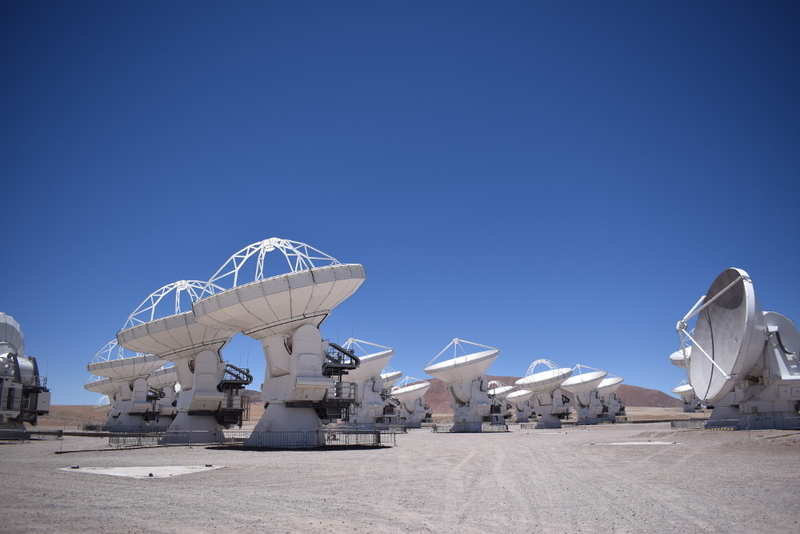 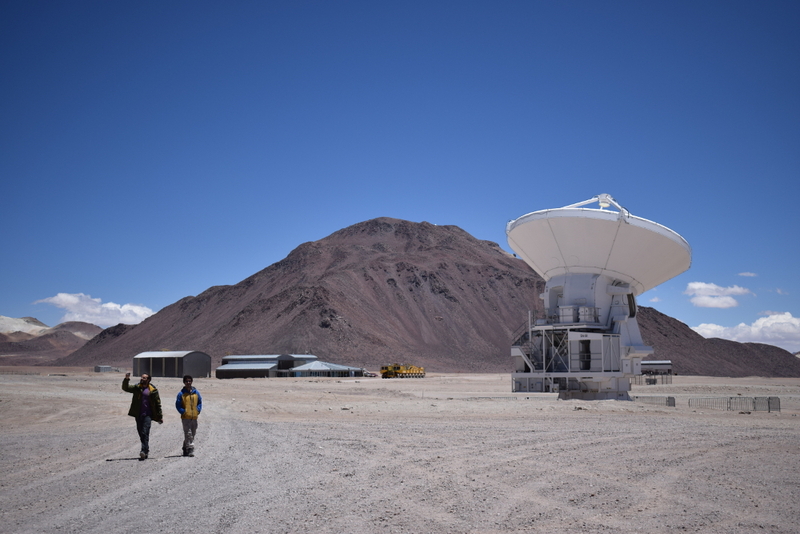 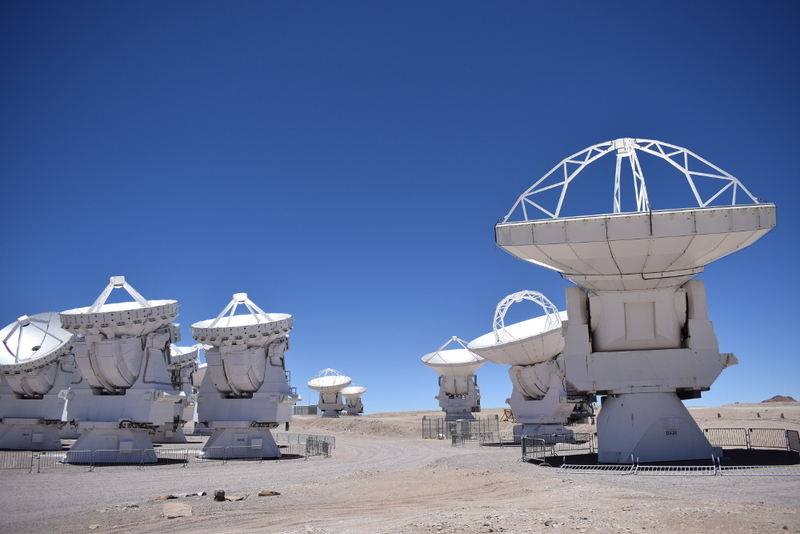 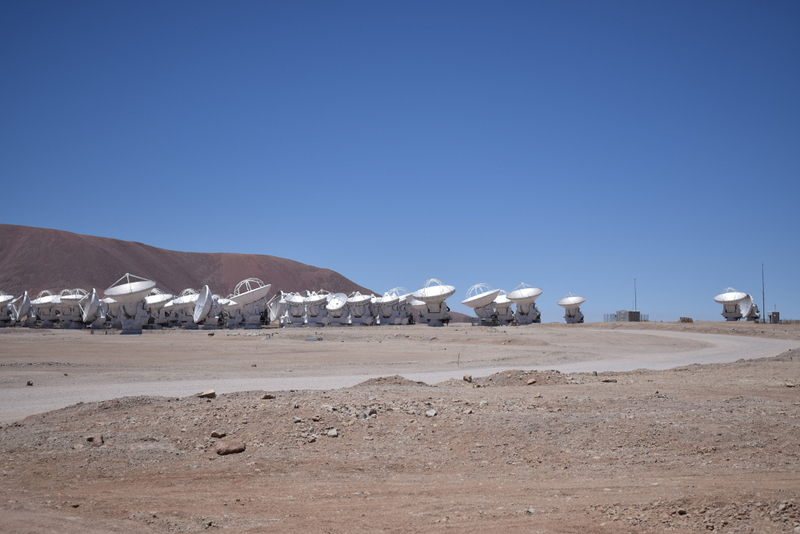 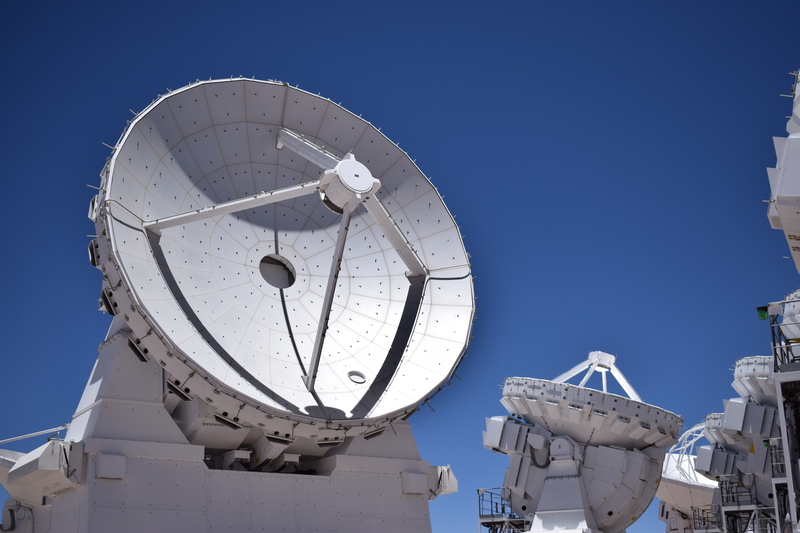 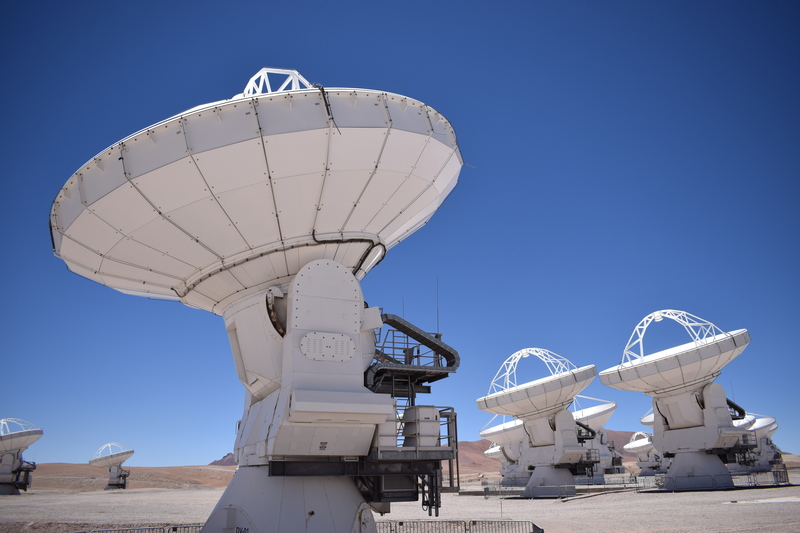 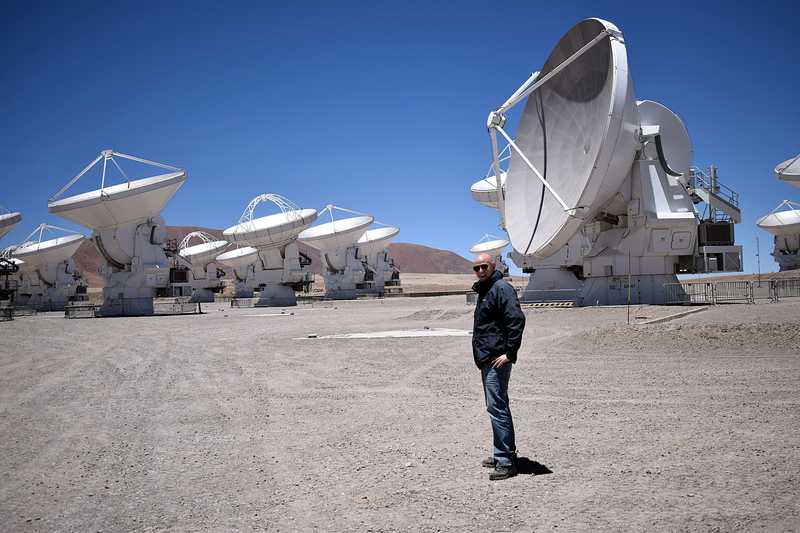 After spending the last year as an ALMA postdoc, proposing for ALMA time, working on ALMA science, analysing ALMA data, publishing ALMA results, I obviously really, really wanted to go and visit the actual array itself up at 5100 m on the Chajnantor plateau. 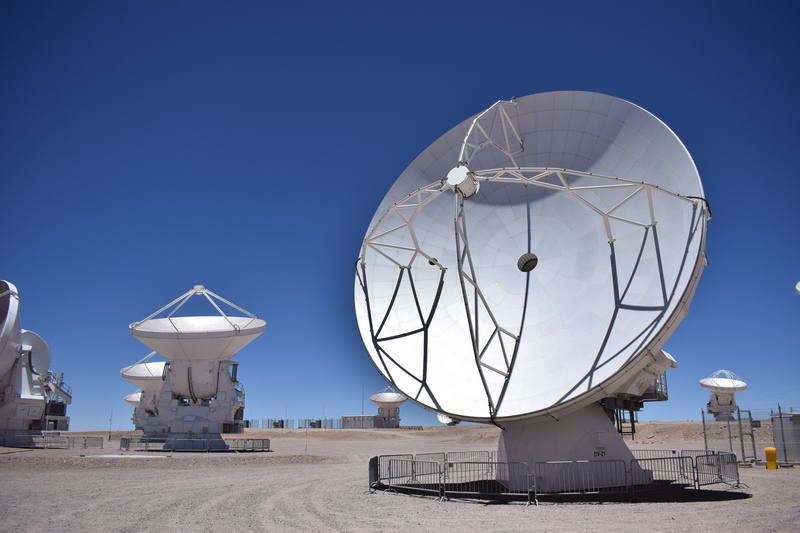 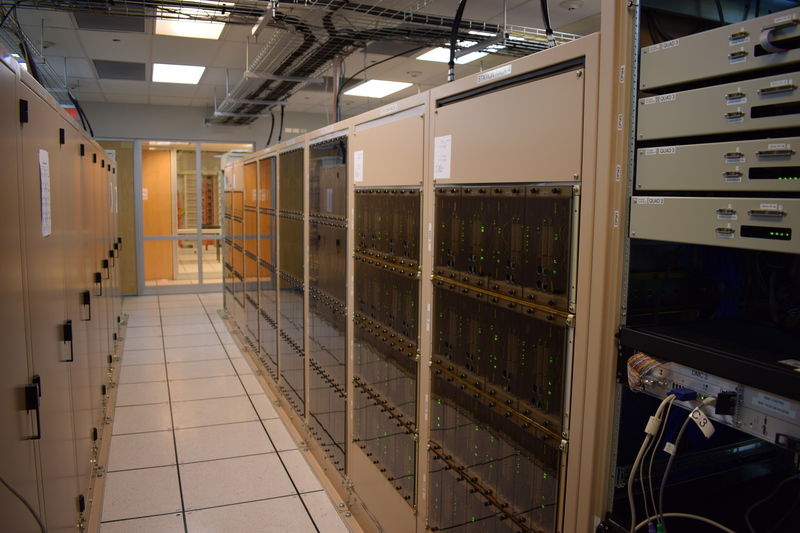 On the day of my visit, the array, composed of 66 12-metre and 7-metre diameter antennae, was in the most compact configuration for low resolution observations, meaning most of the antennae were in the central cluster of pads by the AOS Technical Building that houses the array Back End and the Correlator.